14 tracks. 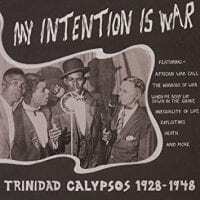 Trinidad calypsos 1928-1948. 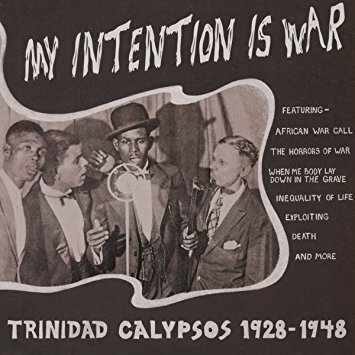 Incredible compilation of Calypso classics from Trinidad recorded between 1928 and 1948 by well known masters of the form such as The Roaring Lion, Attila the Hun, Lionel Belasco and Lord Invader, as well as by some lesser known but great artists. Minor chord intense meditations on death, beautiful and fragile instrumentals, topical and poetic songs and more. This is the real stuff. Songs include The Horrors of War, African War Call, When I Lay Me Body Down In The Grave, Exploiting, Inequality Of Life and Death. Real masterpieces here. Not a clunker in the bunch. Old school "tip on" cover.